Starbucks is one place so many of us like to frequent…probably more than our budgets can allow us to. If you enjoy going there on a regular basis, but wish it wasn’t so hard on your wallet, take heart. 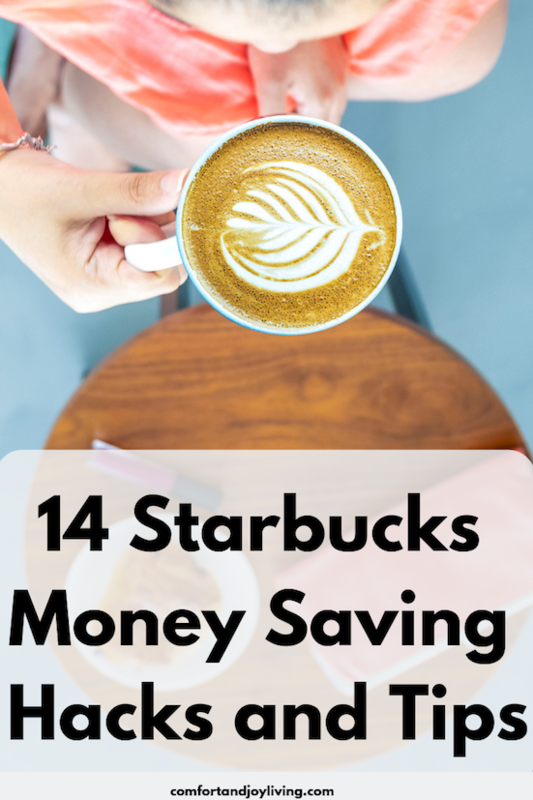 Here are a number of ways that you can save money at this popular coffee house. Make sure to check out the menu as they offer a lot of options, such as iced coffee, which are less than $4. As an added bonus, some of these drinks even have fewer calories too. If you order a triple espresso over ice, Venti size, and add milk, you’ll have a latte—for less than $3. Did you know that you can get your cup refilled with brewed coffee for just $0.50. This offer is good for any time of the day on any sized item. You can’t get just anything for $0.50. You’re limited to hot coffee, hot tea, iced coffee or iced tea—even if that wasn’t what you originally purchased. 4. Two for the price of one. A Venti is $4 compared to a Tall which is $3. The thing is, a Venti is actually the size of two Talls—which makes the Venti size a better deal. Split the drink with a friend and you’ll both get a Tall for just $2. Use the card 5 times and you’ll earn: Free in-store refills, specialized email offers and various other rewards. Use the card 30 times (over twelve months) and you’ll earn free food or item after every 12 purchases, a personalized gold card, specialized offers via email and other rewards. 6. Buy tea, hot chocolate or lemonade to get your sugar rush. If you don’t want the caffeine and just want something sweet to drink, don’t get your usual high-caffeinated drink. There are cheaper options such as tea, hot chocolate and lemonade that can save you a buck and will still satisfy your sweet tooth. 7. Don’t buy bottled water. Order water instead of paying for an expensive bottle of water. If you go there with some friends, order a coffee press of coffee, which gives you a few cups. That way, you an split the cost and save some money. Order a tall drip in a grande cup. That way, you’ll have more room for adding in milk, while still paying just for a tall. When you sign up, you’ll get a free drink each year on your birthday and so much more! Pick up a bag of whole bean coffee at your restaurant and have them grind it for you. Take it home and brew it yourself. They also have K-cups in coffees, iced coffees, teas and more. A simple way to enjoy the flavor without the extra cost. 12. Bring your own cup. When you bring your own cup, you’l knock $0.10 off your purchase. It may not sound like much, but all those dimes can add up over time. Order your drink with half or no ice so that you get more drink in your cup—instead of paying for mostly ice. 14. Get a freebie for your dog. They offer a puppy latte or puppycino—which is a sample of whipped cream.